The Amazon rainforest has been feeling the heat – and now it’s drying out. Droughts are expected to become more prevalent and severe because of climate change. How these droughts affect the rainforest will have a big influence on future warming and global climate. 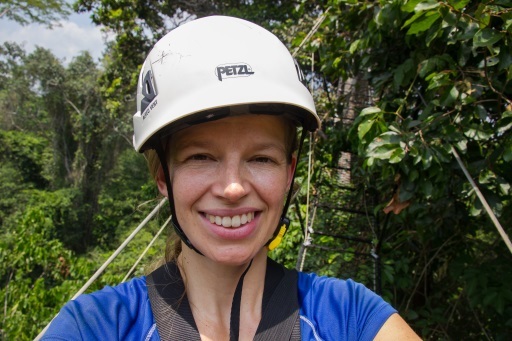 A study led by Dr Marielle Smith and Dr Scott Stark, published in New Phytologist, investigates the Amazon rainforest’s response to drought, to make it easier to predict how the forest grows and ultimately influences the Earth’s climate. 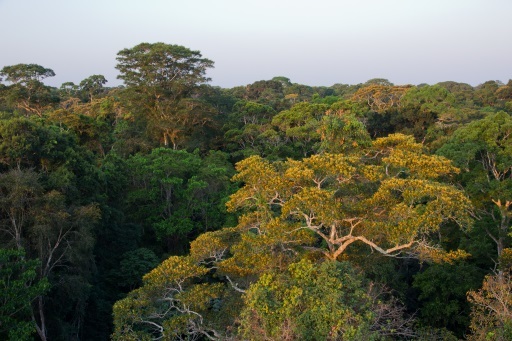 The researchers chose the Tapajós National Forest in Brazil – its combination of wet forest structure and a strong dry season mean that it could be a good indicator for responses to climate change. 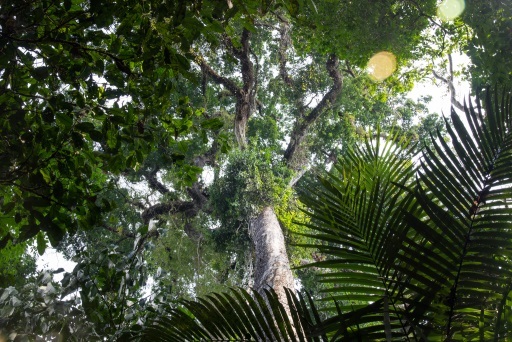 To gather data and monitor the rainforest, the researchers took a detailed snapshot of its structure, by walking through the rainforest with a LiDAR instrument, a tool used to measure distances and create 3D maps with high accuracy. 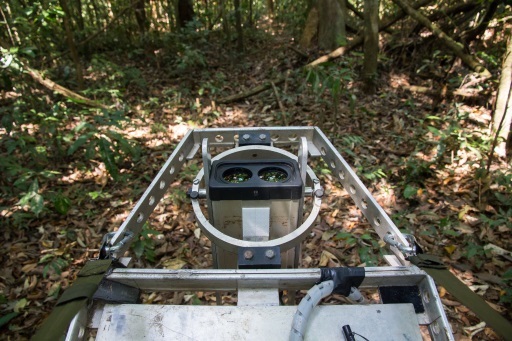 The LiDAR instrument created 2D slices of the rainforest that describe how leaf area is structured over different heights and micro-environments, which vary in light, temperature and humidity. “This is useful because the activity of the forest as a whole – its growth and exchanges of gas and energy with the atmosphere – is largely determined by how leaves are distributed in the mosaic of environments that the forest itself creates,” said Marielle Smith. Marielle and her colleagues carried out 41 monthly surveys between 2010 and 2017, and included one El Niño drought year and three non-drought years. During the dry seasons and drought, the researchers measures more leaves in the highest canopies, despite previous research that found big trees to be more vulnerable to drought. Previous satellite LiDAR observations have shown that, when leaf amounts in the canopy go up, those in the lower canopy go down, and vice versa, over the seasonal cycle of the Amazon rainforest. This could be due to the effect of shade produced by the upper canopy on the lower. “Our high-resolution data allowed us to divide the forest by both height and light environments, and revealed something more complex,” said Smith. The researchers had expected to find that the shade produced by tall trees during the dry season would cause smaller trees to lose their leaves. Instead, the data showed that small trees in ‘forest gaps’ – areas of low shade and high sunlight – lost leaves. Surprisingly, small trees growing in the shade grew larger leaves at the same time as their taller neighbours. The trends were the same in response to drought. The research by Smith and colleagues show that how a tree handles dry periods depends on its neighbours – on the structure of the forest surrounding it. The findings of this study agree with other emerging data showing that short vegetation typically comes off worse during water shortages, particularly in hot, bright environments. This research is helping to build a picture of how canopy micro-environments, tree heights, seasonality, and drought come together to determine which trees will win and lose under drier climates. This is crucial to understanding the future resilience of the Amazon rainforest to climate change. Based on a press release. This entry was posted in Latest Posts, New Phytologist and tagged amazon, climate change, drought, El Nino, leaf area, leaves, LiDAR, New Phytologist, plant science, rainforest. Bookmark the permalink.